When a person is diagnosed with a life-threatening illness like cancer, it’s important to know about all possible treatment options. By knowing what is available, a person can make better decisions about the type of treatment that is right for him or her. This article will focus on a few pancreatic cancer treatment options. The first step that’s usually taken by the doctor is to determine the stage of the pancreatic cancer. The stages range from Stage 0 through Stage IV and describe the degree the cancer has spread. The staging is used partially as a guide for treatment, but also as a classification system for the purpose of clinical trials. Computed Axial Tomography, commonly called CT or CAT scan, and Magnetic Resonance Imaging or MRI, are the preferred methods of determining the stage of the pancreatic cancer. However, only surgery can confirm to what exact extent the cancer has spread. If the doctor determines the cancer is still confined to the pancreas, surgery to remove the tumor may be an option. This is usually completed by an operation called a “Whipple” procedure. This surgery can be complicated, and takes hours to complete. During the operation, the head of the pancreas is removed, and the process may involve partial removal of other organs such as the small intestine and gallbladder. Because of the extensive system involvement, patient recovery may take several weeks. If the tumor is in the tail or body of the pancreas, other surgical procedures may be considered. In cases where surgery isn’t an option for an individual’s pancreatic cancer treatments, then chemotherapy, radiation, and/or targeted drug therapy may be used. Each method can be used as a stand-alone treatment, or in any combination of the three combined. Chemotherapy involves treatment using intravenous cancer drugs. Radiation therapy uses high-energy X-rays over the affected area of the body to kill the cancer cells. Target drugs specifically attack certain aspects of the cancer cell, keeping it from growing or dividing. These options are sometimes used in addition to surgery as well. Clinical trials test new drug therapy, new methods of surgery or radiation treatment, and gene therapy. These trials are carried out safely and can give patients access to methods of treatment that would not be available through mainstream medical care. Alternative therapies can be used alone or with conventional treatments, and may include acupuncture, herbal or folk medicine, or faith healing. Finally, if the cancer has progressed to the metastatic phase, the main focus changes from treatment to diminishing the discomfort and pain associated with advanced pancreatic cancer. Pancreatic cancer treatment options can vary with each individual’s circumstances and stage or type of cancer. There are numerous methods of treatment available in the U.S., as well as in countries abroad. A person can get information on clinical trials and optional treatments from their oncologist or surgeon, or from the American Cancer Society. Information can also be found online. 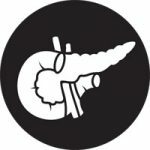 Previous Article What are the Survival Rates for Pancreatic Cancer?